Volkswagen of America, Inc. announced today that it will offer the R-Line® package on the 2019 Volkswagen Arteon. The new trim package augments the all-new four-door coupe’s sportiness with interior and exterior design elements that give it an even more dynamic appearance. The Arteon R-Line package will be introduced at the 2018 New York International Auto Show. The R-Line package enhances the robust list of equipment available in each Arteon trim with performance-inspired design treatments. The sporty exterior styling details include the option of unique 19- or 20-inch aluminum-alloy wheels. Also included are R-Line badging; unique front bumper that incorporates stylish air intakes in a gloss black finish; R-Line air inlets and cover panels; and a gloss black rear spoiler. Inside, the Arteon R-Line models welcome drivers with the R-Line logo on the start screen of the Volkswagen Modular Infotainment Platform (MIB II). Other interior features include contrast stitching on the steering wheel and shift knob; steering-wheel-mounted paddle shifters; metallic décor pieces; black headliner; stainless-steel sport pedal covers; and stainless-steel door sills with the R-Line logo. 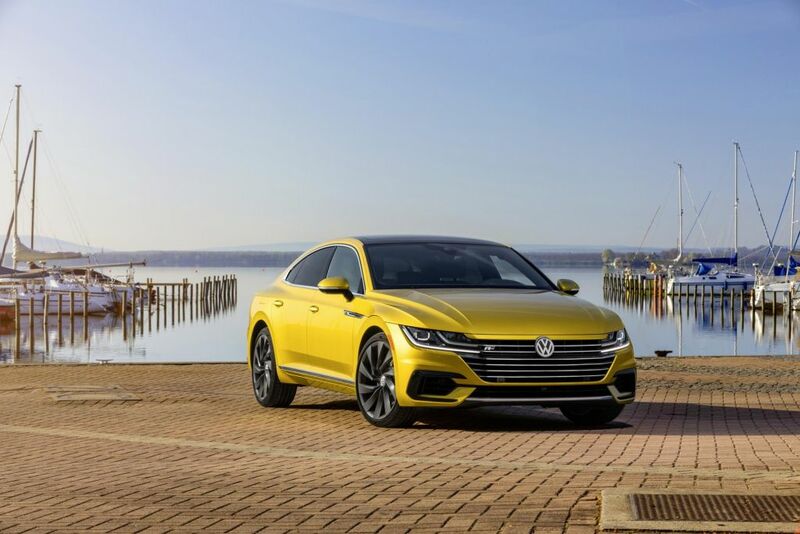 All Arteon models feature the Volkswagen 2.0-liter TSI® turbocharged engine and eight-speed automatic transmission. The Volkswagen advanced 4Motion® all-wheel-drive system is available as an option on every trim level. The Arteon is expected to go on sale in the Fall of 2018 and the R-Line package will be available at launch.